And this year, astonishingly, we are on track for a second year in a row of helping to rescue more than 800 precious lives! Just through the month of November, 761 babies have been saved! Today, a young woman – like so many who come to the abortion center – cried. While others offered vital prayers, sidewalk counselors saw her sitting on the steps at the side entrance of the abortion facility ... crying. They called out to her: “Come to us. “There is free help available for you and your family. There are other options available for you. But before she got up from the steps to walk to the sidewalk counselors, an abortion center worker walked out the side entrance and also talked to her. This has happened before. On a previous day, the abortion center worker stood between a woman and the sidewalk counselors, blocking the mother's view of those reaching out to offer free help to her. The abortion center worker had a clipboard in hand. Papers to sign. That mother was crying, too. Today, in the midst of her tears, this mother found the strength to rise from the steps and walk to the sidewalk counselors. She was greeted with love and warmth and care. The sidewalk counselor and this young mother walked together toward one of the nearby pregnancy resource centers. She came to the abortion facility without hope. With courage she walked away from this place of despair. She chose life... and she is going to have TWINS! Praise be to God...one outreach...two babies! How perfect that is, because I have a “two-for-one offer” for you! 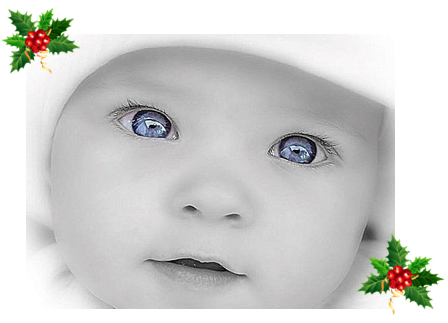 Your donation of any amount (from now through New Year’s Eve) to help the Catholic Pro-Life Committee continue to save lives and build a culture of life in Dallas in the new year will go farther than ever to save a baby’s life and shield a mother’s heart. Picture yourself on the sidewalk, in front of an abortion center. You’re standing there, and a mother comes up – and she’s pregnant with twins. And our sidewalk counselor is there to speak to her, and offer her love and help and hope. By making a life-saving donation of $122.50, you can help her decide to let her babies live. You don’t have to stand for hours in cold, heat, rain, and wind, you don’t have to be shouted at or gestured to by passersby, you don’t have to go home fatigued and sore from standing, second-guessing yourself about whether you did or said the right thing. That’s what our counselors undergo for the indescribable joy of seeing a mom turn around, saying, “I’m going to have the baby.” And your sacrificial partnership with us and our counselors is what makes it possible. Could you help make it possible again, today, for one baby? Your gift can save lives in other ways, too, as we try to reach people well before meeting them at the doors of the abortion centers. Through our Speakers Bureau and Youth For Life Ministries, we’re educating young people in the gift and purpose of marital intimacy, so that they never have to fear an out-of-wedlock pregnancy or be tempted to abort. Our chastity presentations are reaching thousands of youth every year. Through our Civic Action Ministry we equip adults to exercise faithful citizenship so our laws will respect the sanctity of the human person – so critical, especially after we sort through the rubble of a disappointing national election and prepare for the upcoming Texas legislative session. We gave over 20 parish talks this past year, presenting information that many had never heard before! Our Project Gabriel/GEMS Ministry assists at-risk pregnant moms, to whom we can present the adoption option as well as guidance for successful, faithful parenting, along with skills to help moms to break a pattern of serial relationships that leads to unwed pregnancy and abortion. Our Spanish and Parish Coordination Ministries are saving lives through education in the parishes, and those who need healing from a past abortion find their lives and souls restored through our Abortion AfterCare-Healing/The Rachel Ministries. I mentioned we have a special need. The fact is, in order to keep the sidewalks “staffed” for all 80 of the hours that abortions are taking place each week in Dallas – plus the extra staff hours we've needed to add with the new 24-hour sonogram law in effect, giving us the chance to talk to the mothers not once, but twice – and to provide the critical bilingual counselors who can speak to the Spanish-speaking moms, we've had to increase our sidewalk ministry budget an extra $9,780 this year, to $98,000.